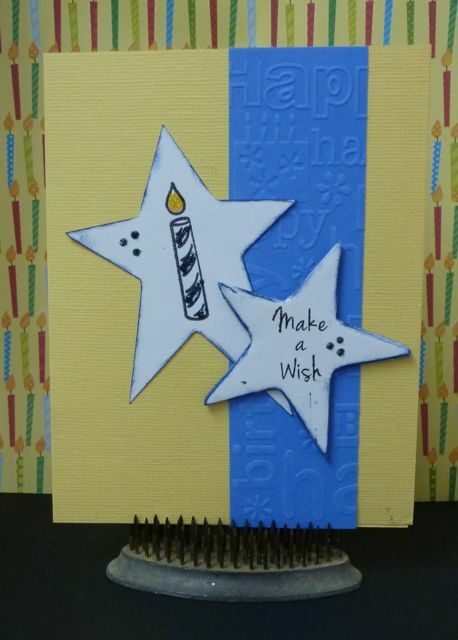 A quick card for a last minute entry to Seize The Birthday sketch challenge before heading out the door. Great birthday card using a fabulous sketch. Seize the Birthday is always fun! It turned out so cute! Love that you added the stars! Thank you for using my Iron Gate Stamps Birthday Wishes set!